Ever growing power density has made thermal effects one of the most crucial issues for modern VLSI designs, e.g., reports have shown that more than 50% of IC failures are related to thermal issues. However, thermal issues for Coarse Grain Reconfigurable Architectures (CGRA) have been few addressed. 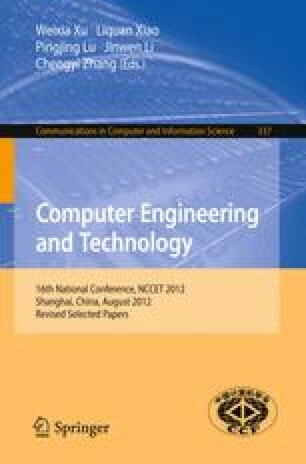 In this paper, a thermal-aware task mapping algorithm called Max-Min algorithm is developed for the REmus reconfigurable architecture, which uses compact thermal model based on equivalent thermal circuit to iteratively optimize the power dissipation on the modern CGRAs. Experiments based on Hotspot simulation show that the algorithm can reduce the maximum temperature by 3~9℃ and narrow the temperature distribution range by 7~15℃. Compared to previous intuitive random algorithm, the Max-Min algorithm can significantly reduce the number of optimization iterations while reserving the same result.